 Our mission is to provide the best protection available for our policyholders through teamwork with our constantly growing network of contracted insurance providers. Let our highly trained staff review your coverages to make sure you have the protection you need. Many risks are involved with being a business owner. Let us review the various types of liability exposures so we can protect your business properly. Providing risk control programs to help protect your employees and business from exposures. Life and health insurance products have expanded, creating more options to protect you, your family and your employees. Your home and possessions are a huge investment, protect them. Our agents can assist you in finding a homeowners/renters policy that will fit your needs. Overwhelmed by all the auto insurance choices? We can help you find the plan you need at a rate you can afford for your personal auto or your commercial vehicle. Looking for appropriate coverage for your camper, ATV, or Snowmobile? Let us assist you with the right coverage for all your toys. RecoverSource is an association dedicated to provide meeting site liability for support groups with their primary focus on Drug and alcohol abuse. This unique program offers coverage for these groups that is often hard to find anywhere else in the insurance market. We value our relationships with personal and commercial clients. Providing great insurance comes with an even greater responsibility to provide options unique to our clients’ businesses, families and assets. We are committed to serving you with excellence and integrity. Let us help you with a free, no commitment quote! Simply complete the form and hit send. A member of our qualified team will contact you within 1-2 business days.